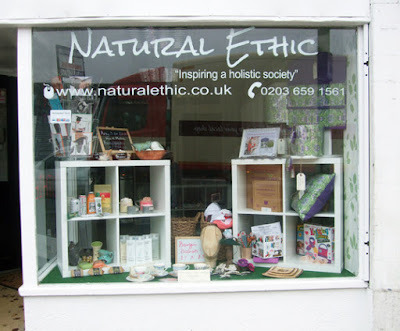 I was told that a shop selling ethical and holistic products had just opened not far from me, but I've been so busy recently I hadn't had a chance to visit. Then on Sunday morning a disastrous journey* back home from a Samhain celebration meant I found myself walking past and getting a chance to peer through the window, although the shop itself was closed. 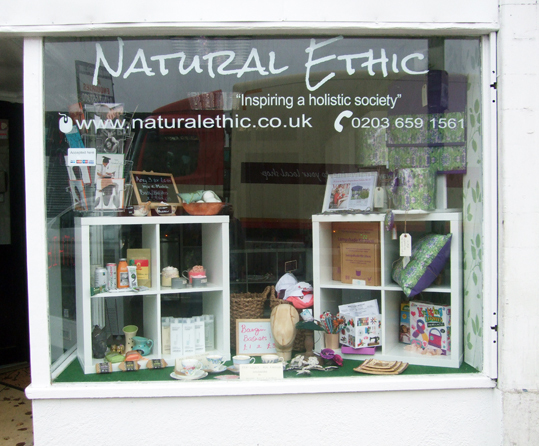 The shop is called Natural Ethic and sells natural, handmade and Fair Trade products, including food, greeting cards, soaps and lovely candles. One day soon I hope to pop back when it is open - and maybe blog about it more. *The disastrous journey was because there were engineering works on the railway lines and the only way home involved three replacement buses - the last bus then got lost and dropped me off a long walk from home.